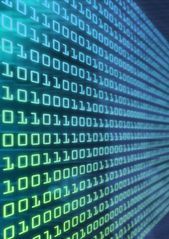 Oil and Gas News Category Archives — Texas Oil and Gas Attorney Blog Published by Texas Oil and Gas Lawyer — Aimee Hess P.C. In a separate report, summarized here, IHS Markit predicts that natural gas production will rise in the United States by almost 8 billion cubic feet per day (bcf/d) or more than 10 percent in 2018 alone. Altogether, U.S. production is expected to grow by another 60 percent over the next 20 years, the report says. In the Permian Basin alone, production of both natural gas and natural gas liquids (NGLs) are expected to double from 2018 to 2023, reaching 15 bcf/d and 1.7 mbd, respectively. As readers may recall, the US Environmental Protection Agency published a draft report in 2015 that concluded that there was no evidence that hydraulic fracturing (“fracing”) led to widespread, systemic impacts on drinking water resources in the United States. Environmental groups went ballistic over this conclusion. Bowing to public pressure, the EPA decided to rewrite the report. In 2016, the EPA published a redrafted final report that you can read here. 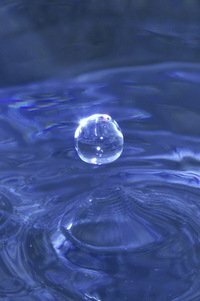 That report concluded that activities in the hydraulic fracturing water cycle “can” impact drinking water resources “under some circumstances”. Shari Dunn-Norman, associate professor in the petroleum engineering department at Missouri University of Science & Technology, was a member of the 31-person Scientific Advisory Board panel of “subject matter experts” that reviewed EPA’s work during the study. Professor Dunn-Norman recently shared her thoughts about the experience at a Hydraulic Fracturing Technology Conference put on by the Society of Petroleum Engineers in The Woodlands, Texas. 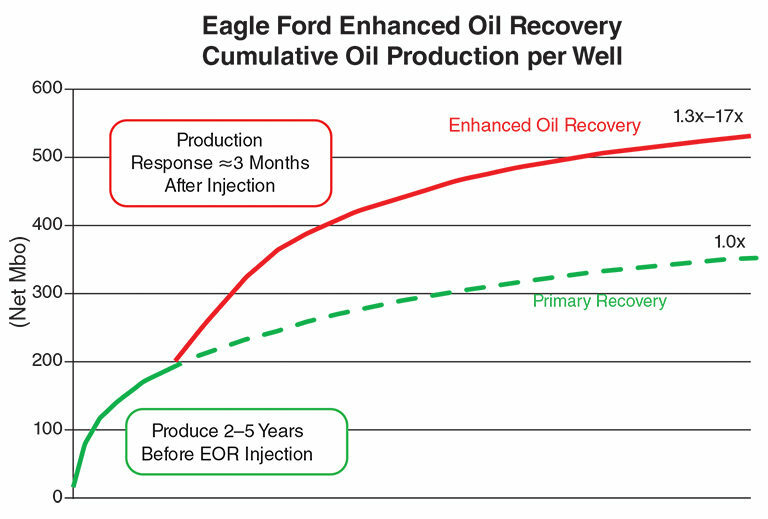 EOG Resources has been experimenting with enhanced oil recovery (EOR) techniques that may be good news for Texas mineral and royalty owners. Specifically, EOG has been using injections of natural gas to increase oil production on approximately 15 wells. They report that the new technique can result in producing 30% to 70% more oil from the Eagle Ford shale, at an additional cost of about $6 per barrel of oil. EOG cautions that the technique may not be suitable for all wells in all reservoirs, however the early results from the EOG wells have resulted in attempts by scientists and other oil companies to study and duplicate the EOG results. For example, David Schechter, a petroleum engineering professor at Texas A&M University, has altered his lab that has been used to test carbon dioxide (CO2) for EOR to safely observe how natural gas affects reservoir rock. BHP Billiton and its partner Devon Energy have two EOR pilot projects in the Eagle Ford. Marathon Oil and Core Laboratories are also reportedly beginning pilot projects. A company known as Biodentify, based in the Netherlands, announced that it can help predict oil and gas deposits based on DNA in the soil just a foot beneath the surface! Specifically, the company claims that by analyzing the microbiological DNA of shallow soil samples, it can predict “sweet spots” in shale reservoirs with 70% accuracy. The technology makes use of hydrocarbon micro-seepage from sweet spots. According to the Biodentify literature, bacterial DNA is extracted, producing tagged DNA data, and that data that is translated to bacterial species. The result is hundreds of thousands of biomarkers or the ‘DNA finger-print’ of the soil sample. A Biodentify spokesperson said that a single sample of soil may contain as many as 300,000 microbial species—some of which are newly discovered. But Biodentify has found that only 50 to 200 of them serve as key indicators of a positive or negative signal. The biomarkers are then inputted to a proprietary computer model, which render a sort of “sweet spot” map. The technology is similar to cutting edge technology in medicine that uses saliva to test for tumors as opposed to a much more invasive biopsy. These images come from a blind validation study and include a map of producing well locations in Louisiana’s Haynesville Shale (left), where about 360 soil samples were taken for DNA analysis (middle). The map on the right was generated through DNA analysis and indicates a highly productive area in the upper-right-hand corner—matching the operator’s production history map. Two areas in the lower right are shown as false predictions, generating a map that was determined to be 72% accurate. Source: Biodentify. What Do Netflix, Amazon and Oil & Gas Have in Common? The Deep Carbon Observatory at the Carnegie Institution for Science is using “Big Data” to locate deposits of minerals, using techniques similar to those used by Amazon to recommend books based on a buyer’s previous book orders, or by Netflix to recommend new movies to a subscriber based on past movie choices. In a paper published in the American Mineralogist, scientists at the Observatory report the first application to mineralogy of network theory. Network theory has also been used to analyze the spread of disease, the scope of terrorist networks or even Facebook connections. The study reported in the paper was led by Shaunna Morrison of the Deep Carbon Observatory and Robert Hazen, Executive Director of the Observatory. In terms of oil and gas exploration, petroleum geologists can use this new tool to discover new oil and gas reservoirs. One benefit will be that data analysis will be a lot less expensive than drilling test wells. In addition, fewer dry holes and test wells will be a good thing in terms of environmental impact. The U S Geological Survey (USGS) just published a revised assessment of oil and gas reserves in the Sprayberry formation in the Permian Basin in Texas. In the revision, USGS estimates the formation holds 4.2 billion barrels of recoverable oil and 3.1 trillion cubic feet of gas. This represents a 700% increase over its prior assessment in 2007. The researchers at USGS said that as more wells are drilled in this region, the more data they have with which to calculate assessments and the better their ability to map and understand these formations. This assessment is the largest ever released by USGS and represents the largest oil and gas reserve in the lower 48 states. 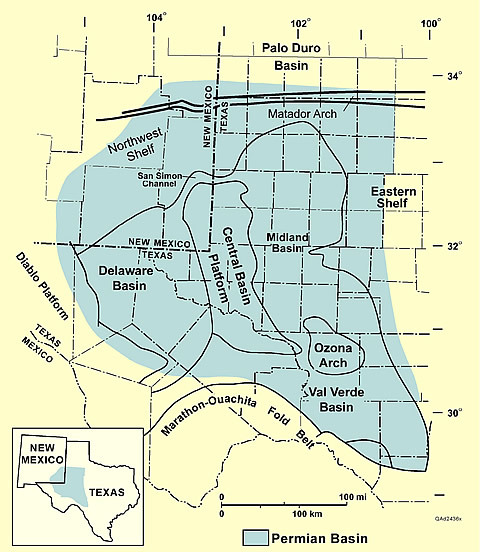 The Sprayberry formation is one of seven formations in the Permian Basin area of Texas. 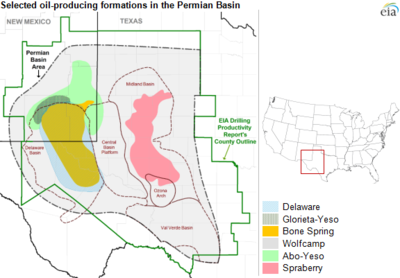 The Permian Basin is the largest petroleum-producing basin in the United States and has produced a cumulative 28.9 billion barrels of oil and 75 trillion cu ft. of gas. This news probably means more oil and gas wells will be drilled on existing leases, and that oil companies may be seeking new leases as well. The Texas Railroad Commission regulates oil and gas production activities in Texas. The Commission has the authority to issue and suspend permits for production companies and Texas oil and gas lawyers can file complaints with the Commission on behalf of landowners who believe they have been harmed by a well’s operations. Periodically, an energy company’s drilling and wastewater injection permit will be challenged by landowners on the grounds that a well has caused earthquakes, and the Commission conducts hearings to review the evidence of whether the permit should be revoked. The issue of whether injection wells cause earthquakes has come before the Commission several times over the past few years. The Commission’s investigations have consistently determined that the earthquake swarm activity experienced in Oklahoma and north Texas over the past few years has not been linked with any specific oil and natural gas drilling activity, and until the seismic activity can be linked to a specific producer’s drilling activity, wells should remain open and operational. While scientists at the United States Geological Survey and other research institutions have opined that there is a link, Texas oil and gas regulators have indicated that oil and natural gas production should not be terminated until there is definitive proof of a correlation between drilling/wastewater activity and earthquake activity.